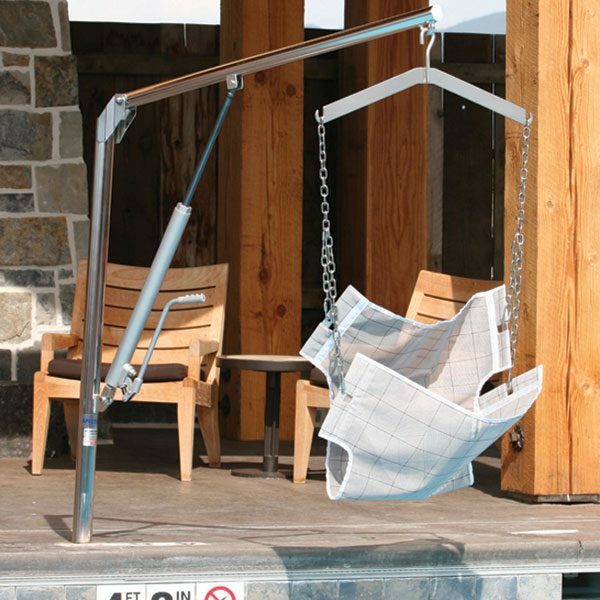 The Elkhorn manual powered pool lift is designed for installation in the decks of in-ground and above-ground pools and spas. 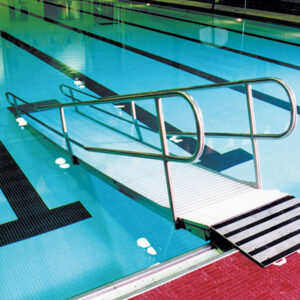 A single lever hydraulic ram raises and lowers the occupant into and out of the water. Ease of rotation is due to the Elkhorn’s unique 2 3/8″ sleeved stainless steel anchor system; the unit is virtually frictionless.